Join the growing number of collegiate recreational sports professionals who are making a commitment to intentional professional development. With the Registered Collegiate Recreational Sports Professional (RCRSP) designation, you can demonstrate your commitment to a higher standard. The RCRSP is based on NIRSA’s Core Competency Framework, which defines the competencies needed to be successful across various disciplines in the field. 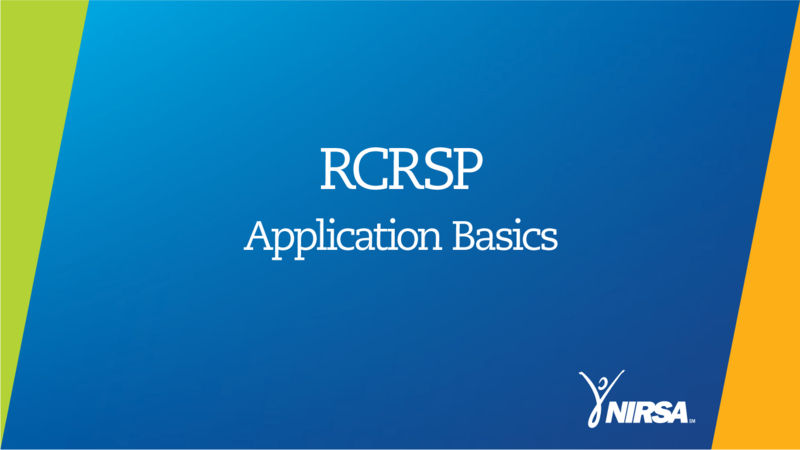 Maintaining an RCRSP designation indicates that you are continuously expanding your knowledge and closing skill gaps in your resume. RCRSP members enjoy invitations the RCRSP Connect Community to access discussion boards to help you connect with RCRSP colleagues, and access resources to help you guide your career path. Collegiate Recreational Sports Professional Registry Commission (PRC). A credential is a declaration of qualification, competence, or authority issued to an individual by a third party with the authority to do so. Credential is the umbrella term used for the many types of programs that exist. A credential may be in the form of an academic degree, licensure, certification, accreditation, designation, and certificate. The RCRSP is a credential type called a designation. Applications & Renewals - Click here! 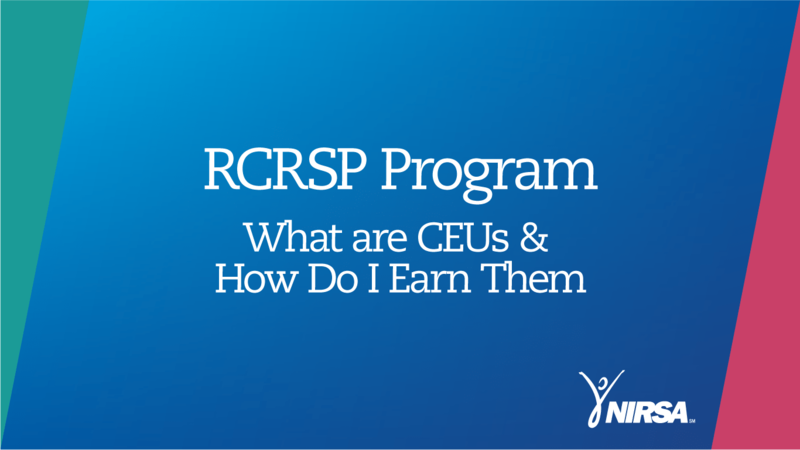 The Registry supports evolving practices of collegiate recreational sports practitioners, provides a framework for lifelong competency based professional development, and inspires purposeful acquisition of new skills. A few times each year, NIRSA highlights a member of the Professional Registry. Discover how these NIRSA Members enhance their careers and capabilities by being a Registered Collegiate Recreational Sports Professional. Policies, standards, and other matters pertaining to the Registry of Collegiate Recreational Sports Professionals are managed by the Collegiate Recreational Sports Professional Registry Commission. Watch Registry highlight on RecChat!